A new study conducted at the University of Plymouth has reported that the opinions and decisions of young children are more significantly influenced by robots even if they are incorrect when compared to adults. This study was published in the journal Science Robotics. The research was jointly led by former Plymouth research team member Anna Vollmer, who is at present a Postdoctoral Researcher at the University of Bielefeld, and Tony Belpaeme, a professor in Robotics from the University of Plymouth and Ghent University. The research team worked hard to explore the positive effects of robots in health and education settings. 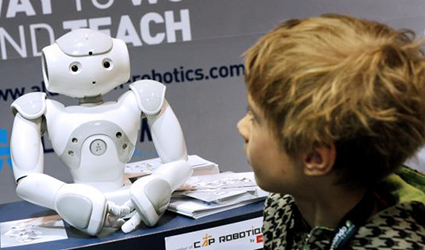 By conducting a four-year ALIZ-E programme, it was concluded that social robots can help diabetic children accept the nature of their condition. L2TOR can help preschool children to learn a second easily language. The research team concluded, "A future in which autonomous social robots are used as aids for education professionals or child therapists is not distant. In these applications, the robot is in a position in which the information provided can significantly affect the individuals they interact with. A discussion is required about whether protective measures, such as a regulatory framework, should be in place that minimizes the risk to children during social child-robot interaction and what form they might take so as not to adversely affect the promising development of the field."